Facebook just acquired WhatsApp for $19 billion, which showed the world the potential value of an actively used chat application. 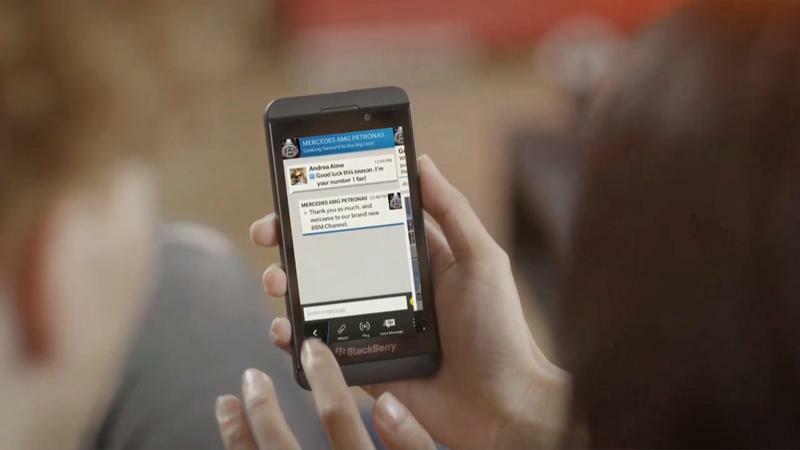 BlackBerry Messenger (BBM) has 80 million monthly active users – a fraction of the 450 million active users WhatsApp boasts- but now BlackBerry is about to add even more features in an effort to attract new users, keep existing users on board, and increase the value of its messaging platform. On Friday, BlackBerry told the world what to expect in the next version of BBM. When the new version is launched – and a release date has not yet been announced – you can expect support for sending pictures to several friends at the same time in a group chat. That feature has long been available on competing apps, so it's basically just bringing BBM up to speed. Additionally, BlackBerry said that BBM will soon support sending of files up to 16MB in size, a nice bump from the current 6MB limitation. "The 6MB transfer limit today allows you to send 6 secoonds of 1080p HD video recorded on a BlackBerry Z30 smartphone," the company explained, noting that the bump to 16MB will allow for 16 second HD video files. Also, emoticons will increase in size in the next version of BBM. We expect all of these features to be available across iOS, Android, BlackBerry OS and Windows Phone – the last of which was just announced – though probably not all at the same time. We'll keep you in the loop when it's finally available.